Everything that starts has an end. At the end of お盆 (obon ) we hold an event called 灯籠流し ( To-ro-nagashi ). This is to send back ancestral spirits to the other world. 灯籠 ( To-ro or 'Candle-lit lantern') is written on with a name of someone who has passed away , and is placed in the sea or the river by people who have lost the loved ones. We also have 精霊流し ( sho-ryo-nagashi) in Nagasaki prefecture and in some others. 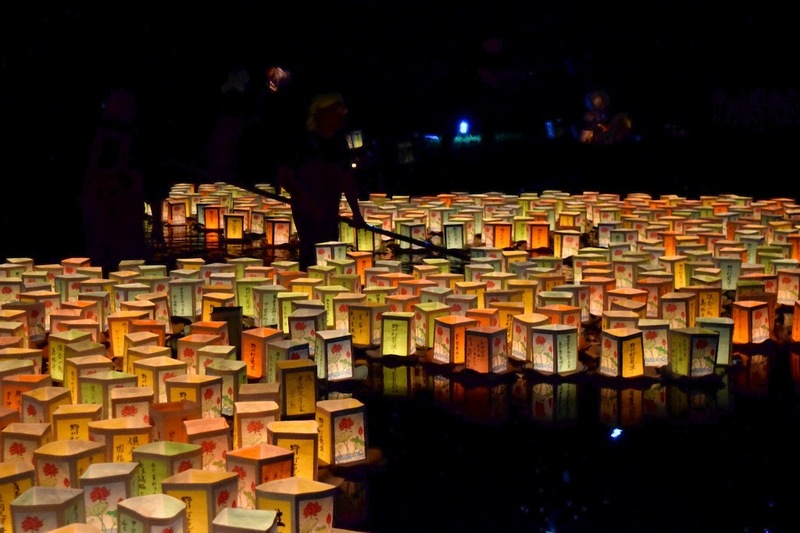 In this event people float boats with lit Japanese lanterns on the river or on the sea. The sunshine lights you up even when you are bothered by things that make your heart sink during the darkest night. The stars show you the way when things get hard.